"We, who are on the front line of nursing, are reassured," he told the Associated Press by phone. The vaccinations on Monday included three doctors at the Bikoro Hospital, two health professionals, two nurses, a representative of women in the community, and a pygmy representative. The procedure, which is voluntary, will take time and rework to ensure there is a positive reaction, said Ngalebato. 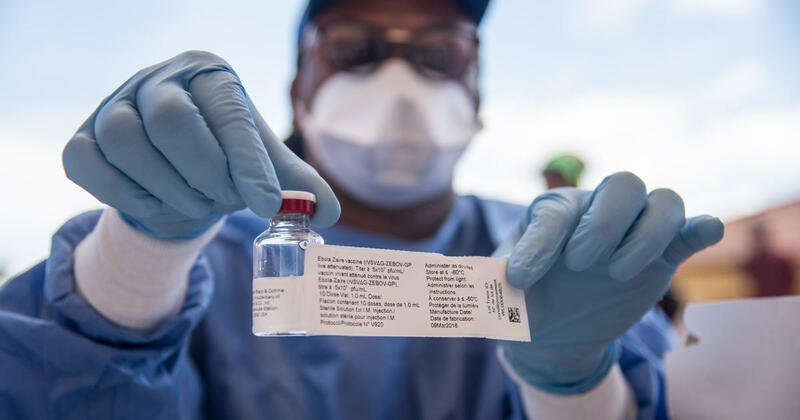 Congo's vaccine campaign, which began last week in Mbandaka, targets more than 1,000 health workers and contacts with the sick in three health zones. Many residents in one of the Iboko towns are radio Okapi that they would rather stay home to avoid infections after the death of a woman who had Ebola near Bobala. One resident said that what they first took to be rumors became reality with death They were very afraid to interact with each other. Four confirmed Ebola deaths have taken place in the Health Zone of Iboko, according to the Congolese Ministry of Health. Several school leaders in the area also said they would stop school activities to protect children. This is the ninth Ebola outbreak in Congo since 1976, when the haemorrhagic fever was first identified. There is no specific treatment for Ebola. Symptoms include fever, vomiting, diarrhea, muscle aches and sometimes internal and external bleeding. The virus can be fatal in up to 90 percent of cases, depending on the strain. Ebola is first transmitted to humans from wild animals, including bats and monkeys. It is spread through contact with the body fluids of the infected, including the dead.